Did you know that your body is very intelligent? Every symptom you have is your body’s way of sending a signal to you that something “just isn’t right.” As a whole, we quickly ignore these important signals we are receiving from our body. In our very over-medicated nation, we are programmed to automatically reach for a medication, whether it be prescription or over-the-counter, to suppress our symptoms so we can get on with our day and on our “merry-little-way.” Through bombardment of impressive marketing by pharma industry and the continuous introduction of “new and improved” agents for physical and mental conditions that we didn’t even know existed, an incredible arsenal of “cures” have become available to “treat” every bump, bruise, ache, pain, cough, sneeze, wheeze and even burp. Now, when we are feeling a little “blue”, our physicians and advertisement have convinced us we have a “Prozac deficiency” or a “Zoloft imbalance.” If we have a bout of acid indigestion after consuming over 3000 calories in pizza and nachos dripping with fatty cheese during the Super Bowl, we quickly equate this to “too much acid” that can be fixed with a dose of Tums, Zantac or Prilosec OTC… and some consumers even take all three! If we have a fever, we instantly assume this as a negative reaction that demands immediate attention with Tylenol or Motrin. We think that we can protect ourselves from the flu simply by getting a flu vaccine. How about we take a step back for a just a moment and fully analyze each of these situations? If we did so, we would realize that in each example mentioned, our body is attempting to send an S.O.S. for us to PAY ATTENTION! Instead, we should question WHY these symptoms are occurring and search for the underlying cause instead of simply placing a “Band Aid” on it. Tap into your imagination and visualize the following. You just purchased a gorgeous Mercedes E-Class sedan (or insert your favorite dream car here) and drove it straight off the showroom floor. The final sale price exceeded $70,000. You slide behind the wheel and are instantly overcome with the “new car” smell of sweet buttery leather. The sales manager hands you the keys and you excitedly drive the car away and start heading down the road. With only five miles on your odometer, the “check engine” light comes on. You look at the flashing caution light on your dashboard and immediately realize you have a dilemma. What do you do? Would you pull over, grab your owner’s manual and see if there is a button that can reset your car’s monitoring system with the hope that this was just a “new car electronic glitch” and that the potential underlying malfunction will go away after the light is turned off? OR, do you immediately turn around and drive back to the dealership so that the mechanics can run a diagnostic test to find out WHY the car detected an issue that signaled the check engine light to come on? I know this seems like a pretty silly question, and of course, you being a very savvy consumer who believes in high quality products, you would immediately take the car back to get it checked out. NOW, if you would investigate the “root cause” of your car’s dysfunction, why would you not do it for your own body’s dysfunction? Even with all of the advancements of modern medicine, you can’t replace all of your body parts once they are worn out… although orthopedic surgeons and cosmetic surgeons may beg to differ with me. The time is NOW to consider listening more closely to how your body is communicating with you, and to start taking more preventative measures by making healthier choices in the present, so that ultimately we will have a more vital and enjoyable future. 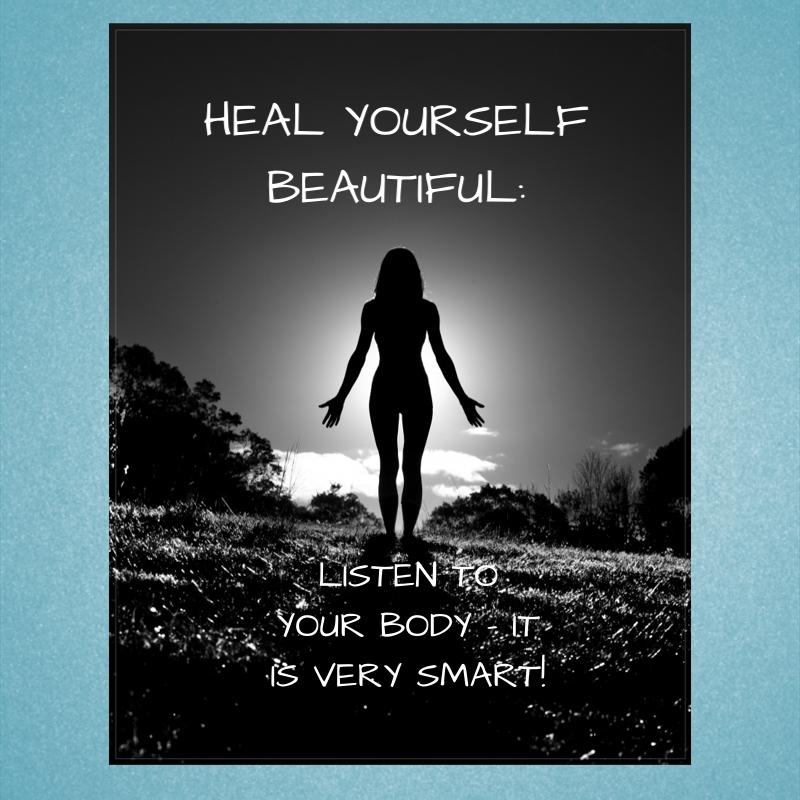 NOW is the opportune time to take more responsibility for your body by utilizing a more holistic approach to your own personal healthcare by treating your body as a whole integrated system instead of just segmented parts. Maybe you will start taking a more proactive approach to preventative measures for your health. I truly hope you will at least gain a new perspective on some aspect of YOUR life you need to pay more attention to, so you can begin the process to heal yourself… from within. Omega-3, one of the nutrients found in Fish Oil, is ANTI-AGING, ANTI-INFLAMMATORY, and is great for every single part of your body! This supplement should be a part of every daily vitamin regimen. Experts agree the benefits of supplementation are numerous. It is good for your heart, brain, joints, skin, hair and nails, eyes, blood sugar, and can even boost fertility by improving sperm motility. Omega-3 is good for the HEART by preventing dangerous heart rhythm disturbances, reducing “stickiness” of blood, lowering bad cholesterol levels (LDL and triglycerides), improving good cholesterol (HDL), and lowering blood pressure, and many cardiologists are adding it to their patient’s regimens. Omega-3 improves brain BRAIN function by keeping arteries clear and can reduce depression by stabilizing neurotransmitters. Omega-3 helps lubricate the JOINTS, thereby protecting joints from degeneration and injury. Omega-3 restores the natural “glow” of youthful SKIN by making the outer layer of the skin thicker and smoother, thereby decreasing wrinkles. Leading Ophthalmologists are now adding Omega-3 to their recommendations as Omega-3 protects vision by maintaining the delicate membranes in the retina of the EYES. Omega-3 naturally enhances insulin function, and is beneficial for appropriate BLOOD SUGAR modulation. Omega-3 is also crucial for fetal brain development in pregnant women. Consume more foods high in Omega-3. A few good food sources of Omega-3 are: wild salmon, sardines, walnuts, olive oil, flax seeds, avocados and Omega-3 fortified eggs. Use extra virgin olive oil, and when used for cooking make sure to cook on low heat. Western diets are high in Omega-6 (which promotes inflammation), therefore, it is difficult to obtain appropriate amounts of Omega-3 from food sources alone. The most effective way to increase Omega-3 is to supplement with fish oil. 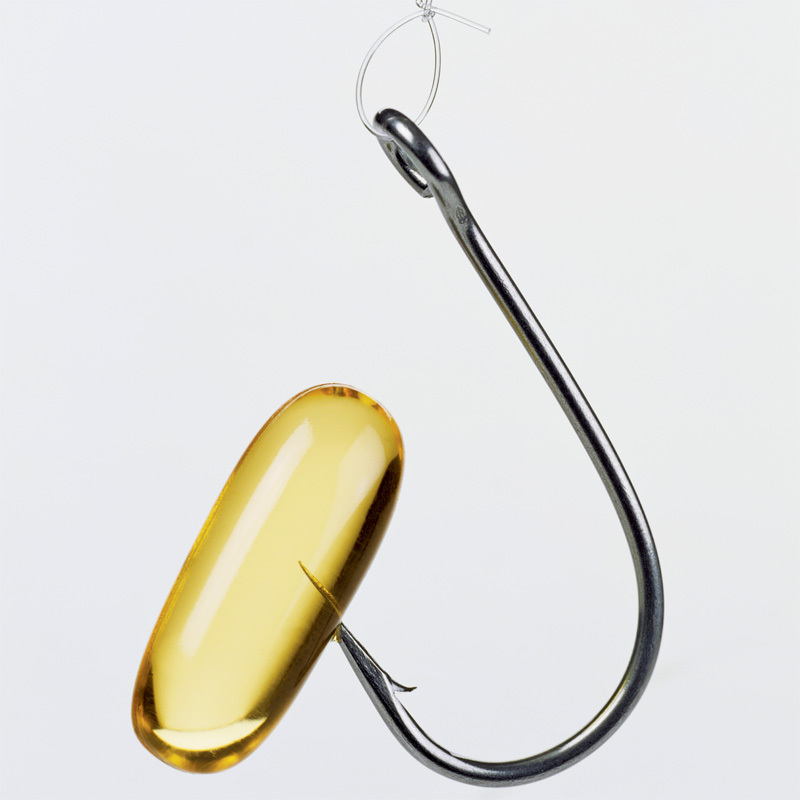 Fish oil supplements vary in amounts of ratios of DHA and EPA. Read the labels and may sure the supplement has at least 600 mg of DHA per dose. The total dose of fish oils is expressed as the total amount of DHA and EPA combined. Many supplements contain Vitamin E or other antioxidants to stabilize the oils and to prevent them from becoming rancid. Many fish oils require refrigeration to prevent spoiling. If you have trouble with “fishy burps”, you can put your fish oil in the freezer without destroying effectiveness. Dosing should begin with at least 1000 mg total DHA+ EPA fish oil twice a day for maintaining good health. To improve heart health a dose of 2000 mg fish oil twice daily, or higher, is recommended. Research from Vanderbilt University reported that Vitamin D3 is far more effective at reducing death than Vitamin D2 (6% vs. 2%). Vitamin D3 is made by your body in response to sun exposure, whereas, Vitamin D2 is irradiated plant matter and fungus. 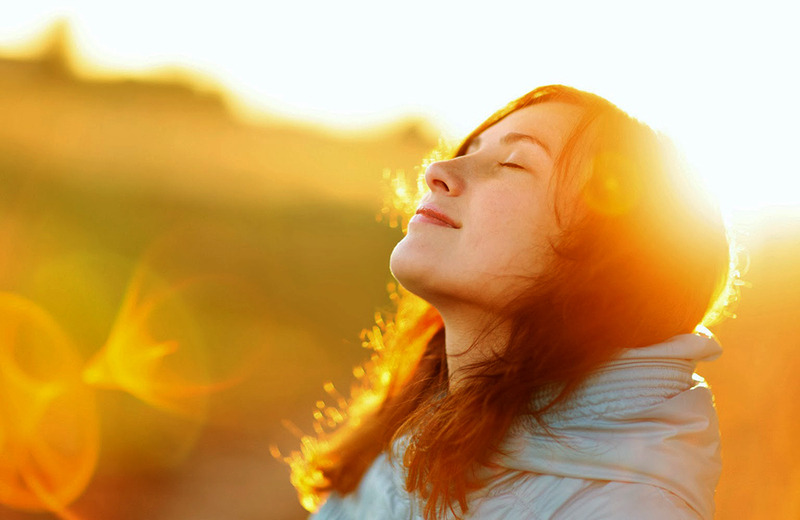 Vitamin D3 is natural to your body, it is more available, is more potent and, therefore, better than Vitamin D2. I can’t stress this enough, KNOW YOUR LEVEL! No single dose is right for everyone. In order to have adequate supplementation to obtain optimal blood levels of Vitamin D, your physician needs to obtain a 25-Hydroxy Vitamin D, or 25(OH)D, blood level. Most physicians recommend 2000 IU to 4000 IU daily for most people, however, you should take enough supplemental Vitamin D3 to keep your level in the optimal range of 60-80 ng/mL. Levels < 30 ng/mL have been linked to hip fractures in elderly, increased risk of heart attacks, fatigue, even multiple sclerosis and cancer. It is necessary to take calcium when taking Vitamin D. Take with your fatty meal of the day, or at the same time as fish oil supplements. In addition, try to get sun exposure on face and arms for 10-15 minutes, at least three times a week without sunscreen. PROBIOTIC means “for life”, and are colony forming “good” bacteria. Your digestive tract is populated by “good” bacteria, like lactobacillus, but it is also occupied by “bad” bacteria like Candida, E. coli and Salmonella. More and more data supports that the key to good health is creating and maintaining an optimal balance of more “good” bacteria in your gut. According to Dr. Stephen Sinatra, the ideal ratio between the bacteria in your gut is 85% “good” and 15% “bad.” Many environmental and lifestyle habits contribute to the destruction of good bacteria like: Consumption of sugar/fructose, refined grains, processed foods, chemicals and pesticides, chlorinated and fluoridated water, antibacterial soaps and the overuse of antibiotics and stomach acid blockers. Probiotics produce lactic acid that makes the gut more “acidic” and stops the growth of bad bacteria. The website Green Med Info has assembled an impressive list of more than 200 studies, which together explore more than 170 diseases which can be helped or treated with probiotics. Eating sugar nourishes the BAD BACTERIA in your gut, which in turn creates more distress and is the road to disease. The best way to ensure optimal gut flora is to regularly consume traditionally fermented foods like sauerkraut, kefir and tempeh. Many patients assume they are getting enough probiotics by consuming yogurt. Actually, most “probiotic” yogurts found in grocery stores are NOT good choices because they are pasteurized. Pasteurization destroys many naturally occurring probiotics. In addition, manufactured yogurts typically contain added sugars, high fructose corn syrup, dyes, or artificial sweeteners. Yogurt also has to be acidic and contain “LIVE CULTURES” … “active cultures” are not the same thing. Look for the seal on the container that has the LAC seal (Live and Active Cultures), as this yogurt contains at least 100 million cultures per gram of yogurt after pasteurization. A lot of people do not like the taste of fermented foods. In this case, taking a high quality probiotic supplement is definitely advised. Experts, like Dr. Julian Whitaker, recommend that general probiotic replacement should include L. acidophilus and B. bifidum. Other strains like L. fermentum, release antioxidants right to the digestive tract, and are more readily available. Some people seem to respond more favorably to L. sporogenes or B. coagulans, so when in doubt, this may be a great place to start. The Whitaker Institute recommends taking at least 2 billion CFU of probiotics a day. Take your whole body detoxification to a new level by adding SAUNA treatments to your regimen! For centuries our ancestors experienced the tremendous benefit of sauna. For example, the Finns utilized sauna for mental, spiritual, and physical cleansing and “sweat lodges” were utilized by Native American Indians for cleansing and purifying. Most of us are pretty familiar with traditional saunas, but are unaware there are other options available to “get your sweat on”! Traditional saunas warm the body with heat and humidity at high temperatures, often in the range of 160-200 degrees Fahrenheit! Some individuals find this excessive heat and “wet” air uncomfortable and are unable to withstand sessions beyond twenty minutes. Personally, I find the wet air is very bothersome to my asthma and can trigger vigorous coughing spells. I wanted to take my own detoxification to the next level through sweating, so I began searching for alternatives. That is when I noticed increasingly more controlled studies were being done with “far”-infrared sauna. How does “Far”-infrared sauna (FIS) work? FIS creates heat from light, heating 20% of the air and leaving 80% available to heat the body. This warm dry air is more effective at increasing body temperature at lower sauna temperatures, in the range of 120-180 degrees Fahrenheit, without humidity. In general, sauna treatments are appealing because they cause “reactions”, such as vigorous sweating and increased heart rate similar to those experienced during moderate exercise. FIS may induce up to 2-3 times the volume of sweat produced in a traditional sauna while operating at significantly cooler temperatures. In addition, infrared heat panels are so safe that they are even used in hospital nurseries to warm newborns. Many people who use FIS find they are able to withstand 20-50 minute sessions and find the sessions more tolerable. As I mentioned earlier, sauna is great for the traditional uses of meditation and detoxification. Detoxification of the body can optimize the efficiency of the immune system. Toxins in the body can accumulate in the skin and the liver and sweating is one of the body’s natural ways to remove toxins…. As a result, detox helps avoid disease, prevent illness and improve general health and vitality. FIS heats the body from the core, therefore, it allows you to sweat up to seven times more toxins than traditional saunas! Daily sweating can help detox the body as it rids itself of accumulated heavy metals as well as alcohol, nicotine, sodium, and sulfuric acid. FIS helps with acne by purifying the skin and cleansing the pores thus ridding accumulated dirt, cosmetics, blackheads and dry skin cells. Less toxins in the skin means healthier skin with improvements in skin complexion, tone, texture, elasticity and overall appearance. A weight loss benefit can be seen with FIS. Studies show that just 30 minutes can burn upwards of 600 calories! When using FIS core body temperature increases and the body works hard to cool it down which then causes an increase in heart rate, metabolic rate and cardiac output allowing you to burn calories while you relax. Cardiac improvement can be seen in congestive heart failure, and improved circulation benefits individuals with high blood pressure, sciatica, hemorrhoids, and varicose veins. FIS can help you maintain healthy levels of your stress hormones, like cortisol, thus leading to relaxation, better sleep and an overall feeling of being refreshed and rejuvenated. FIS works by deeply penetrating joints, muscle and tissues, which increase circulation and speeds oxygen flow. Many physicians recommend FIS for pain relief and to athletes for sports injuries, fibromyalgia, and other chronic pain syndromes. In 2009, authors published a study in Clinical Rheumatology. Patients with rheumatoid arthritis and ankylosing spondylitis were treated with infrared sauna. After 4 weeks and a total of 8 treatments, pain and stiffness decreased significantly and improvement was seen in fatigue. In yet another article published in 1994 in Respiration, authors found “sauna therapy can help respiration in patients with asthma and bronchitis, and lung function was improved in patients with COPD”. Japanese and Chinese practitioners have utilized FIS and have noted benefit in the following: Arthritis (TMJ, Traumatic, Rheumatoid, DJD), compression fractures, muscle tension and spasms, post-exercise muscle pain, bursitis, low-back pain and lumbar strain, menstrual pain, joint stiffness and eczema. Depending on the degree of detoxification needed, benefit with “Far”-Infrared Sauna was seen in many studies in as little as 15-30 minutes 3 to 5 times weekly. In patients who require a higher degree of detoxification, daily treatment may be more beneficial. I wouldn’t recommend a treatment so enthusiastically unless I utilize it myself. I purchased my FIS four years ago. After researching the products available on the market, I found the SunLighten® SOLO to be most appealing for my needs. The portable SOLO is great for one person and can be easily stored in a closet when not in use. An additional benefit of the SOLO is that your head is outside the sauna, therefore, you are not breathing in the heat. Initially upon purchase, I utilized my sauna daily to stimulate the release of toxins. Now, I use my sauna 2-3 times weekly to continue reaping the benefits of toxin elimination. To aid in the elimination of the toxins from all of this sweating, don’t forget to replace the lost electrolytes with a high quality electrolyte replacement and drink plenty of water following your session. In addition, be sure to shower immediately after your session to prevent the re-absorption of toxins. If YOU are striving to get to that next level for optimal health, I would highly recommend you try a session, or several sessions, of FIS combined with other detoxification-supportive supplements and nutrition.